The National Certification Board for Diabetes Educators (NCBDE) offers the Certification Examination for Diabetes Educators for certification purposes. Candidates must meet specific academic and work experience eligibility requirements before taking this test. 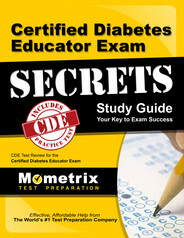 After successfully becoming certified, candidates may use the title of Certified Diabetes Educator or the acronym CDE after their name as long as it is up to date. Candidates will have four hours to finish 200 multiple-choice items on this computer-based assessment. Of these, 25 items are not scored; these are pre-trial items which may be used on future exams. Candidates will not know which items are scored and which are not. Candidates may use a hand-held calculator. It has to run on a battery or by solar power, and it cannot have any ability to program information. Nothing else is allowed, and a pencil will be provided at the test location. The raw score (the number answered correctly) will be converted to a scaled score in the 0-99 range. The minimum passing scaled score is 70. After passing the exam, candidates will receive a certificate and wallet card. How to pass the CDE Exam! 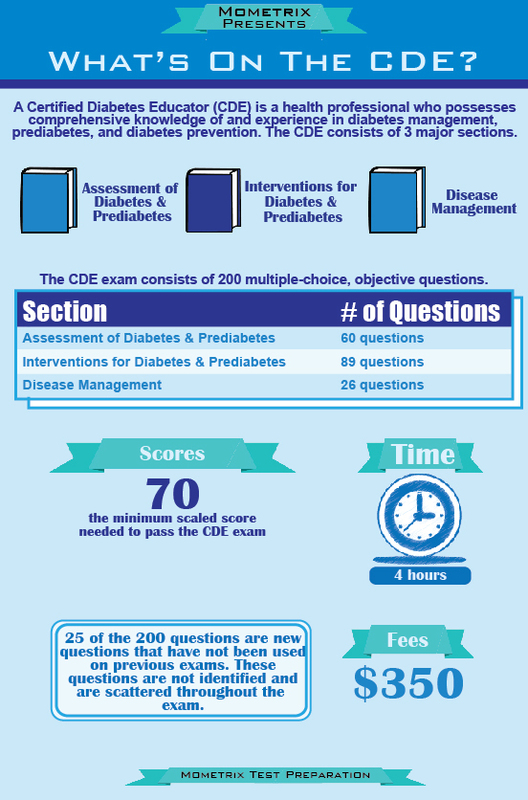 Ace the Certified Diabetes Educator test using our Certified Diabetes Educator exam study guide with practice questions. 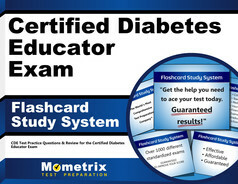 Quickly Solve Difficult Certified Diabetes Educator Test Questions with the Certified Diabetes Educator Flashcard Study System.